Convert SWF to FLA and extract elements. Is there a better alternative to Sothink SWF Decompiler? 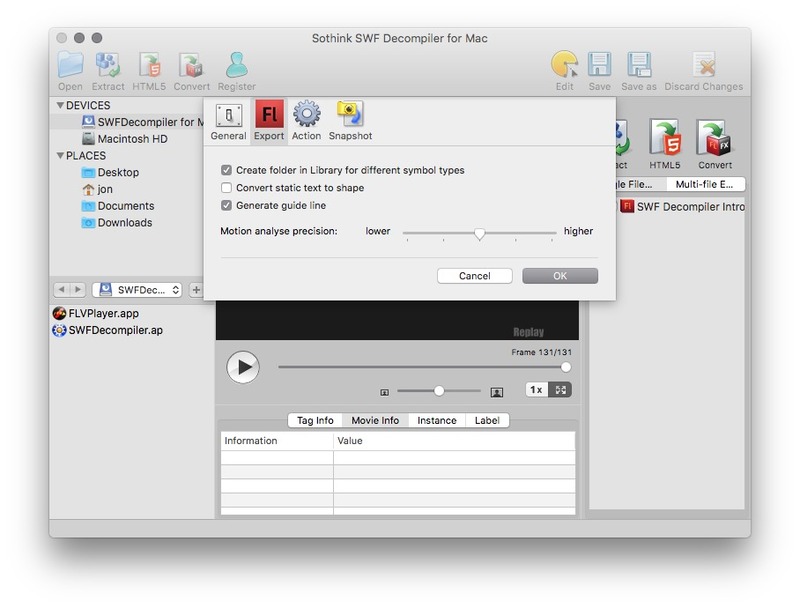 Is Sothink SWF Decompiler really the best app in Author Tools category? 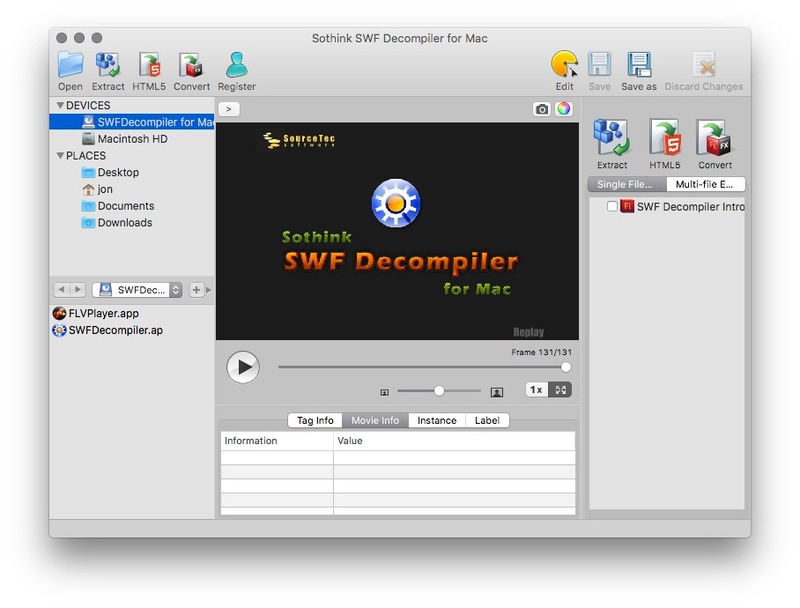 Will Sothink SWF Decompiler work good on macOS 10.13.4? 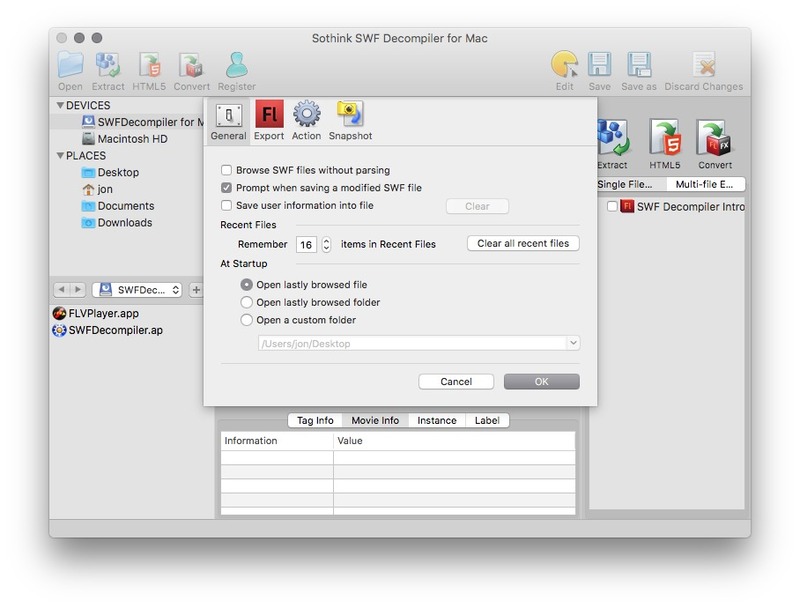 Support decompiling the SWF containing TLF text. Support exporting FLA as Flash CS6 format. 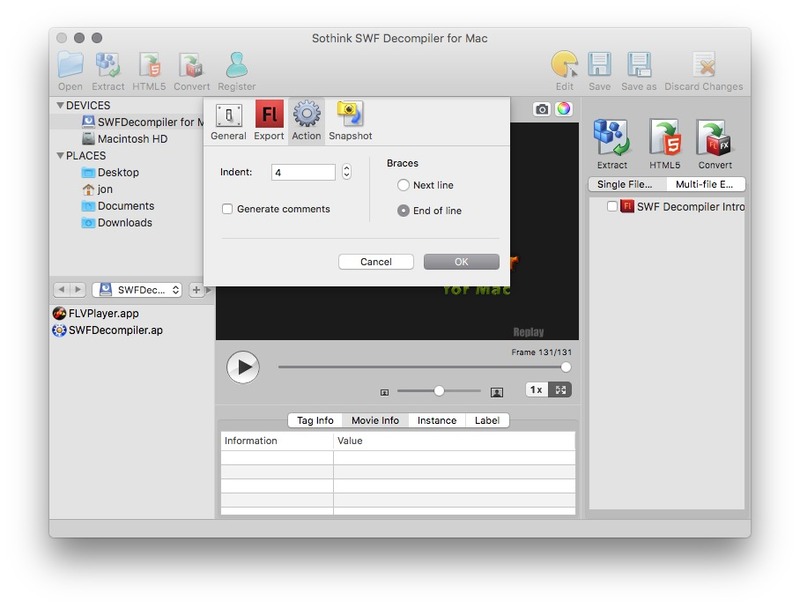 This Flash Decompiler Mac supports Flash 6/7(MX 2004)/ 8/9(CS3)/10(CS4) and ActionScript 2.0/3.0. It also supports Flash components. When decompiling ActionScript 2.0/3.0, the readable code will be displayed in the ActionScript window with syntax highlighting.